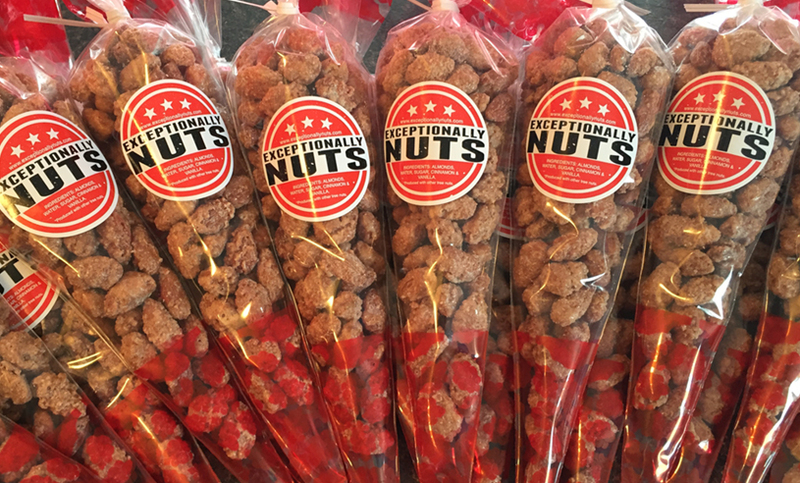 Bavarian Almonds from Exceptionally Nuts are an ideal fundraiser for athletic clubs, service organizations, or youth-groups. Bavarian Almonds sell themselves at athletic concessions, concerts, plays or door to door sales. There are several options for sales based upon your individual fundraising needs. The best part of fundraising with Exceptionally Nuts is that your profit margin can be over 100% as we sell you almonds for a wholesale price. The minimum initial order is 25 pounds. Following the initial order, you may reorder 5 pounds per order. The current wholesale price is $7.00 per large, $3.50 per medium and $2.00 per snack. You will profit from this lucrative fundraiser!